Halloween is an exciting time of year for many kids. Dressing up in costumes and visiting homes in your neighborhood can be lots of fun. where kids trick or treat by the pale moonlight. and carry candy bags to each house they go. Others are pumpkins, princesses, or cats. Others are cowboys or frogs who catch flies. 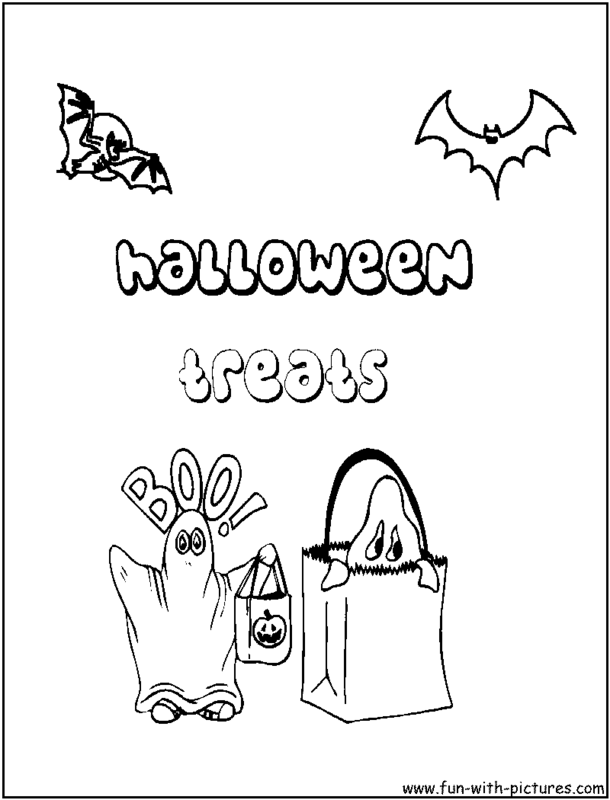 to collect yummy candy from each person they meet. I'm a big carved pumpkin with a candle in. 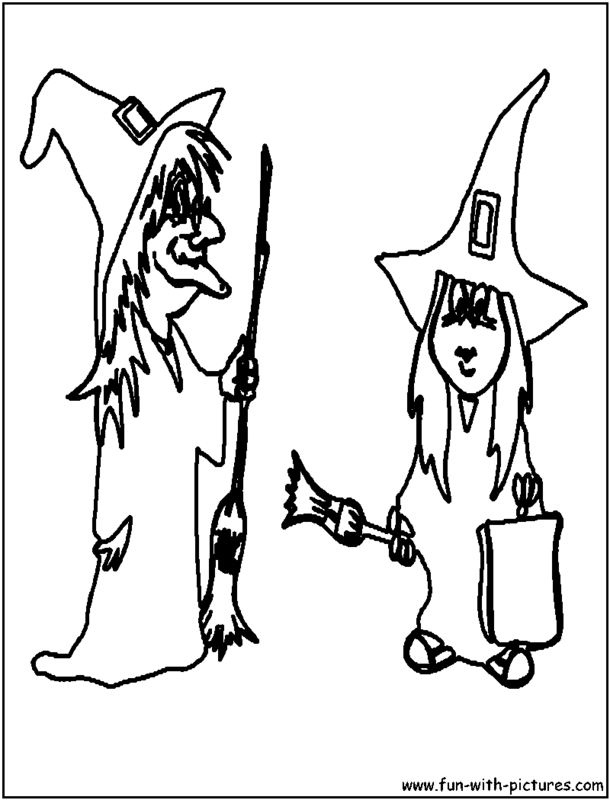 Away go the ghouls and witches on Halloween night". It's ok to get excited, but it's very important to stay safe while trick or treating. Always stay with your family so you don't get lost or get hurt. It's very dark at night and hard to see (especially if you wear a mask), so carry a bright flashlight. Never eat candy right away. Wait for an adult to check it carefully for things that could hurt you and make you sick. Don't cross the street without looking both ways first. It's hard for drivers to see you at night when you are wearing your costume. What other things can you do to stay safe on Halloween? What color did you use the most on your pumpkin picture? 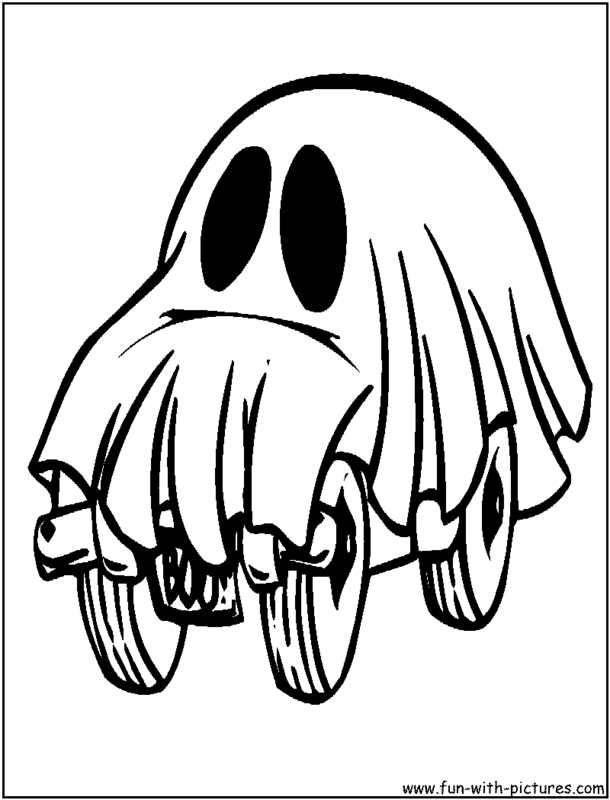 What color are your spooky ghosts? Look at all the pictures your colored. Which one is your favorite? 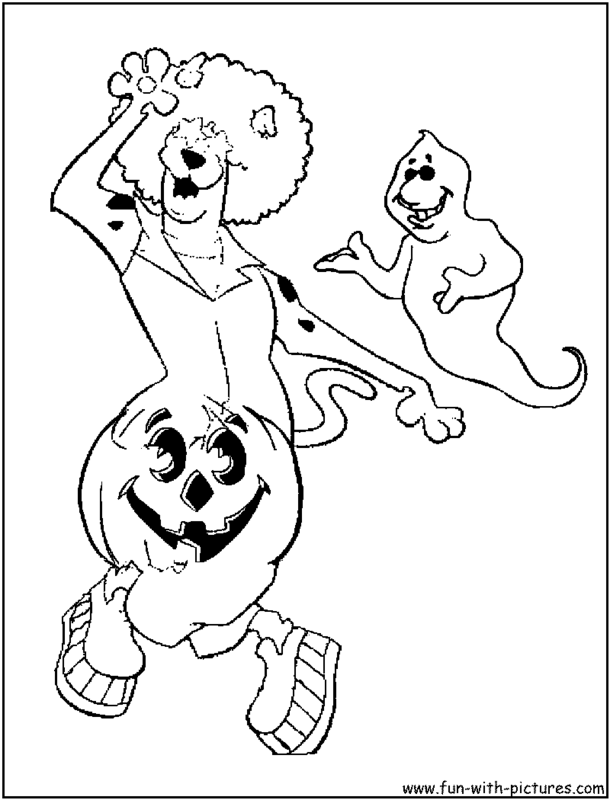 Apart from these coloring pages, there are other free halloween printables on this site. Have fun!